The Content Grabber API comes on both a 32-bit version and a 64-bit version, and since the library will be embedded into your application, you need to select the appropriate platform target for your application. For example, if you're using the 32-bit runtime, your application must be a 32-bit application. 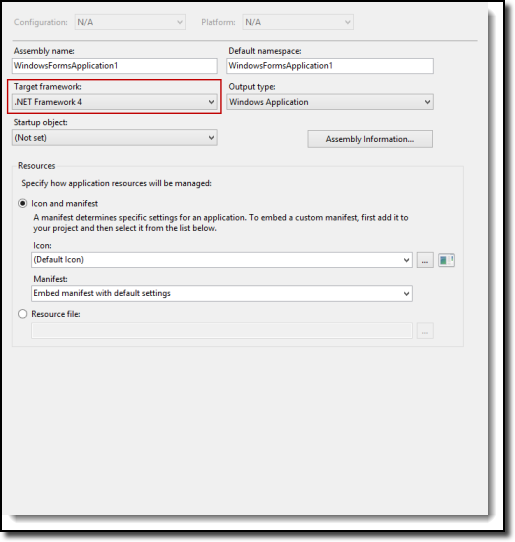 You can make sure your application is a 32-bit application by opening project properties in Visual Studio and setting the platform target to x86. If you're using the 64-bit API, set the platform target to x64. The Content Grabber .NET API files, which you will reference from your Visual Studio project, are compiled with the platform target Any CPU, so they will work in both 32-bit and 64-bit applications, but the Content Grabber native runtime files will only work on the chosen platform. If you're building an advanced installer for you application, you could use the platform target Any CPU, and then configure your installer to install the appropriate native runtime files. For example, the Content Grabber installer checks the platform of the client computer and then downloads and installs either the 32-bit or 64-bit runtime files depending on the platform. The Content Grabber API uses the .NET v4.5 framework, so your application should be configured to use the same or a higher version of the .NET framework. To set the .NET framework version in Visual Studio, go to project properties in Visual Studio and set the target framework to .NET v4.5 or higher. Once you add these assemblies to your project references, Visual Studio will automatically copy these files and some dependent assemblies to your project's BIN folder. However, not all required assemblies will be copied to your BIN folder, so you must manually ensure all the Content Grabber runtime files are in your BIN folder. 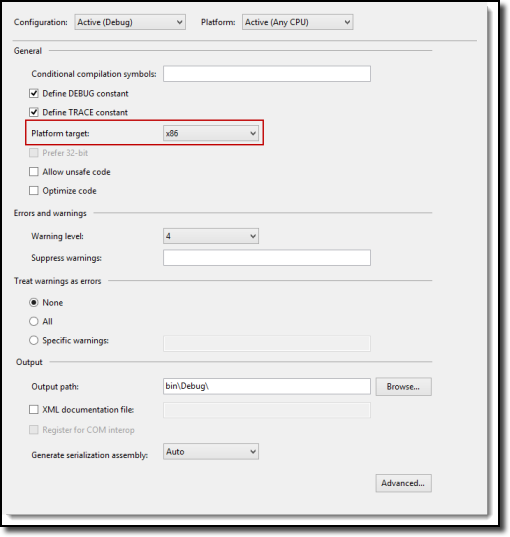 The Content Grabber runtime files can be generated in the Content Grabber application by choosing Runtime Package in the Application menu. This will generate a zip file with all required files and folders. All these files and folders must be copied to your BIN folder.